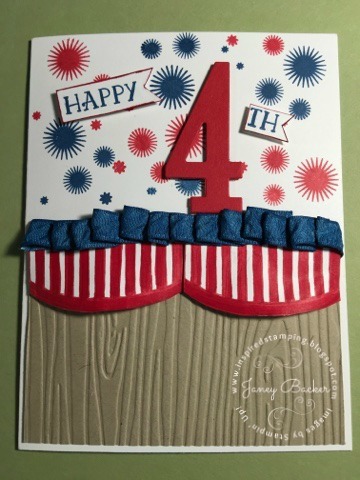 Inspired Stamping by Janey Backer: Happy July 4th! I'm wishing you a happy Independence Day 4th of July! I'm sharing from last year, and hope you enjoy this card! This card was first published here.